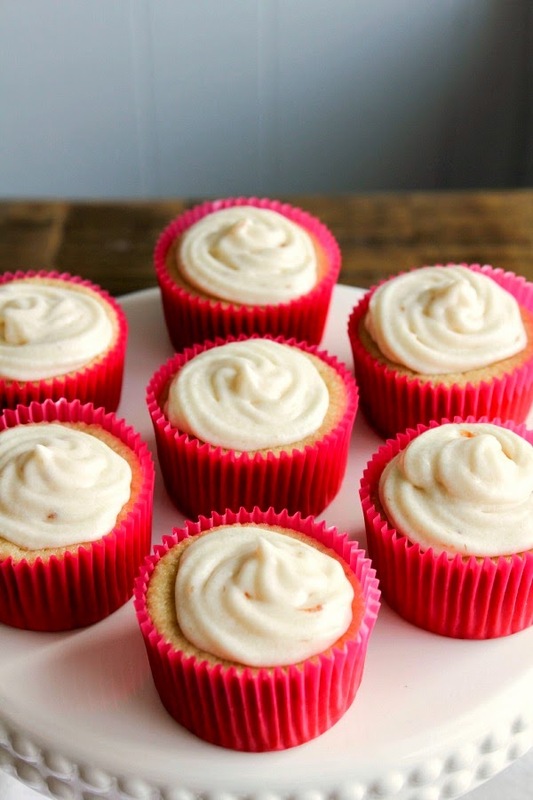 These strawberry yogurt cupcakes are tender, moist, and delicious. 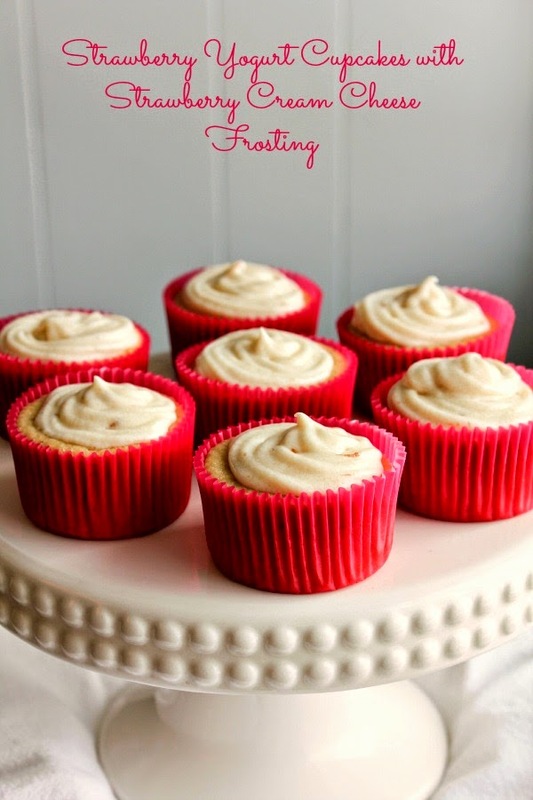 Topped with a decadent strawberry cream cheese frosting, it's hard to eat just one! As much as I love all things chocolate, sometimes it's nice to make a different type of dessert. Something with vanilla, maybe something nutty, or even a fruity dessert. I tend to make a lot of brownies and cakes, so it's good to break away from the usual. That's where these delicious Strawberry Yogurt Cupcakes with Strawberry Cream Cheese Frosting come in. A little bit decadent and naughty, but also somewhat healthy and nice. It's a two-for-one kinda deal. You see, these cupcakes are made with delicious Stonyfield Vanilla Bean Petite Crème Yogurt, fresh strawberries, and just a little sugar, not too much. The creamy frosting is made with light cream cheese and just a stick of butter. Again, heavenly and delicious, but on the lighter side. If you're looking for a pick-me-up, make these cupcakes. You'll be having visions of spring in no time! Add the strawberries and yogurt to the container of a blender and blend until the strawberries are pureed. Add the strawberry puree and vanilla to a small bowl and mix well. In a medium bowl, whisk together the flour, baking powder and salt. In the bowl of a stand mixer, cream the butter until light and fluffy. Slowly add the sugar and continue to beat until well combined. Add the eggs, one at a time, until mixed well. Alternately add the dry ingredients and strawberry mixture to the mixer, a little at a time, just until blended. Using an ice cream scoop, divide the batter evenly among the prepared muffin cups. Bake the cupcakes for 20-25 minutes, or until the tops spring back when lightly touched. Allow the cupcakes to cool completely before frosting. While the cupcakes are cooling, make the frosting. In the bowl of a stand mixer fitted with the whisk attachment, beat the cream cheese and butter for about two minutes, or until smooth. Add the remaining ingredients and beat until smooth. 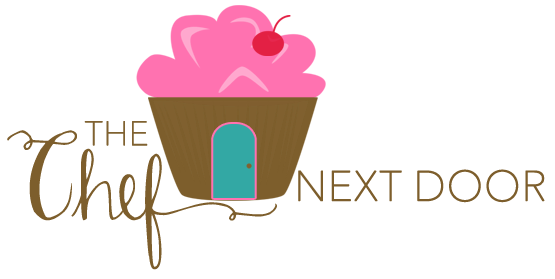 Spread the frosting on the cooled cupcakes either with a knife or by using a pastry bag. Leftovers can be stored in an airtight container in the refrigerator for up to 5 days.